Konya - TURKEY - Welcome to our Comenius Project Website! 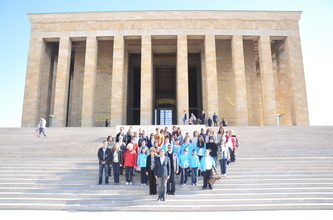 Our 4th study trip took place in Konya Turkey between 29th of September to 4th of October 2011. At the first day we have been hosted in Private Gündoğdu College and we’ve watched the performances that Turkish students have prepared for our visit. We have also watched videos concerning Turkey and the city of Konya. Our first working session was in the afternoon. We ate our diner in a restaurant that serves typcical Konya cuisine. At the second day early in the morning we took a high speed train to Ankara the capital city of Turkey. 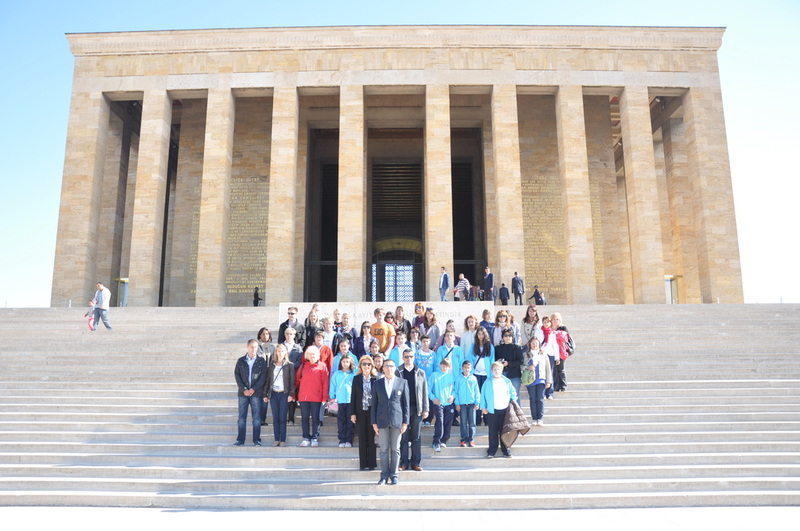 We have visited the first and the second parliaments and the mouseleum of Ataturk the founder of modern Turkish Republic. On Sunday, we have made a guided tour of Konya. Some of the places that we have visited were Alaeddin Mosque, İnceminare, Hill of Akyokuş and Sille Village. Last day we have made protocol visits to the Representative of Minister of Education and the Mayor of Konya. After the protocal visits we have seen Mevlana Museum, a famous philosopher and humanist. We ate our launch in a restaurant called Mevlevi Sofrası with a view of Mevlana Mosque and museum. We have made a second working session in our hotel afterwards. Private Gündoğdu College gave us farewell diner in Dedeman Hotel. Thank you for your great hospitality during our stay. Be sure we will never forget this wonderful time in Konya.